Two days ago, Harold Wallace, 63, fell off his bike and broke his nose, but as of this morning, he still hadn't seen a doctor. Because of the CCTA bus driver's strike, now in its fourth day, he hasn't been able to find a ride to his office. 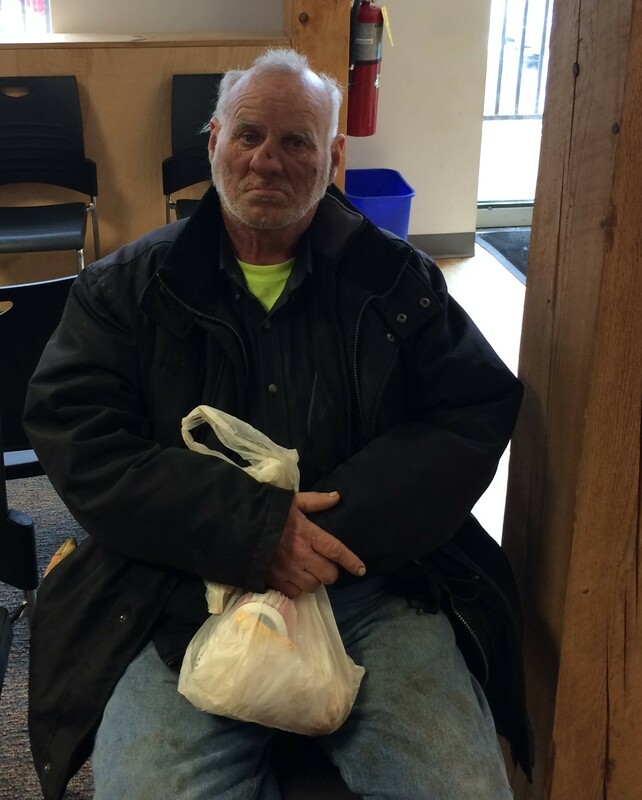 On Thursday morning, Wallace walked to the Champlain Valley Office of Economic Opportunity (CVOEO) on South Champlain Street in Burlington, looking for help. The Queen City resident, who lives nearby on Shelburne Road, said he was biking early Tuesday evening, carrying a bag of two-liter bottles to recycle, when the bag hit his tire, sending him over the handlebars. Sitting in the CVOEO waiting room, Wallace said he would normally take the bus to see his doctor at the Ethan Allen Medical Center in Colchester. From where he lives on Shelburne Road, he estimates it's a five-mile trip. "It's hard to get up to my doctor's. I've got no money for a cab or anything," he said. Wallace, whose nose was crooked and visibly swollen, said he'd held off trying to get medical attention in the hopes that the strike would end soon. By Thursday, he'd given up. "I'm in pain. I can't breathe. I've got dried blood in my nose," he said. When he can't bike, the bus is his only mode of transportation, Wallace said, adding that biking on slushy roads can be treacherous, especially at his age. CVOEO staff scrounged up cab fare for Wallace to get him to Colchester, but until the strike ends, he said he'll be out of luck when it comes to getting anywhere else. Clearly distressed, he described his frustration at the strike: "It's bad for everybody. Everybody depends on this bus."